A survey of some of the major Canadian media players, past and present. Changing technology and squeezed revenues have dramatically changed the media landscape in recent years. Many companies tried to diversify, though for some this has been a financial failure. Some have been forced to sell less-profitable holdings and others have vanished from the Canadian media landscape altogether. Recent moves like the co-purchase of Maple Leafs Sports and Entertainment in December 2011 by rivals BCE (Bell Canada Enterprises) and Rogers Communication, or BCE's bid to buy Astral Media in March 2012 show that the media landscape in this country isn't stagnant, but constantly evolving. Here is a survey of some of the major Canadian media players, past and present. Montreal-based Astral Media began its corporate life in 1961 as Angreen Photo Inc., a photofinishing concession in Miracle Mart Stores. It acquired Bellevue Photo labs two years later. It went public in 1971 as Astral Communications and launched several pay TV and specialty channels through the 1980s and '90s. In 1999, it bought the radio and TV properties of Radiomutuel and followed that with the purchase of 17 Telemedia radio stations in 2002. Astral Media owned 84 radio stations across the country. They also owned 24 pay television and specialty TV stations, including The Movie Network, Mpix, Musique Plus, Family Channel and Disney Junior. In April 2007, Astral Media announced a $1.08-billion cash and stock deal to acquire 52 radio stations and two TV stations from Standard Broadcasting. The company announced a partnership with the Virgin Group in 2008, allowing for the exclusive use of the Virgin Radio brand in Canada. On March 16, 2012, Montreal-based BCE, the country's biggest telecommunications company and owner of the CTV network bid $3.38 billion for Astral, a deal designed to give Bell more control over content for its cellphone, internet and land-line services. Before that move to acquire Astral, BCE (Bell's parent company) bought CTV Inc. in early 2000 for $2 billion. Months later, it struck a $4-billion alliance with Thomson Corp. that shook Canada's media industry. The idea was to combine a huge range of broadcasting, publishing and online media properties to take advantage of convergence opportunities. The newly renamed Bell Media (formerly CTVglobemedia) owns the CTV network and its 27 TV affiliates and six A-Channel affiliates. It also has full or partial ownership of 30 specialty TV channels, including TSN, Discovery Channel, The Comedy Network and Bravo. The company controls all 33 of CHUM Ltd.'s former radio stations and several web properties, including Sympatico.ca. Bell Media is wholly owned by BCE, following a $1.3 billion buyout approved on March 7, 2011. In December 2011, Rogers Communications Inc. and Bell pooled their resources and bought a majority stake in Canada's biggest sports franchise, Maple Leaf Sports and Entertainment. The two companies, fierce rivals in cellphones and internet services, each paid the Ontario Teachers' Pension Plan about $533 million for a 37.5 per cent chunk of MLSE, which owns the NHL's Toronto Maple Leafs, the AHL's Toronto Marlies, the NBA's Toronto Raptors and Major League Soccer's Toronto FC. It's not a big media player nationally but the giant Irving company in New Brunswick operates the closest thing to a print media monopoly in Canada. It owns all of the English-language daily newspapers in the province as well as a host of weeklies and other publications — 29 all told.The lack of significant print competition has often been cited by critics, who say it doesn't foster rigorous reporting of the Irving family's other extensive business interests in New Brunswick. Calgary-based cable-TV operator Shaw Communications Inc. paid $2 billion for all of Canwest's broadcasting assets in the spring of 2010. The deal included the Global TV network and such specialty channels as HGTV, Food Network, Showcase and History. The Canwest TV properties are now known as Shaw Media. In 2000, Canwest bought 28 newspapers that were formerly part of the Southam chain from Hollinger Inc. for $3.5 billion. At the time, it was the biggest media deal in Canadian history. But facing crippling debts, it filed for bankruptcy protection in October 2009 and eventually sold its newspapers to a bondholder group headed by National Post CEO Paul Godfrey for $1.1 billion. Canwest's newspaper properties are now known as the Postmedia Group. The Canadian Broadcasting Corporation, the national public broadcaster, was created as a Crown corporation in 1936. It operates radio and TV broadcasting network and regional services in every province and territory. It broadcasts in both official languages and in eight aboriginal languages. In addition to its two over-the-air TV networks, the corporation operates the following specialty channels: CBC News Network, RDI, Bold, Documentary, ARTV and TV5MONDE. Radio Canada International broadcasts programming via shortwave around the world in nine languages. CBC/Radio-Canada also operates a variety of websites, including CBC.ca, and is a partner in the Sirius Canada satellite radio service. 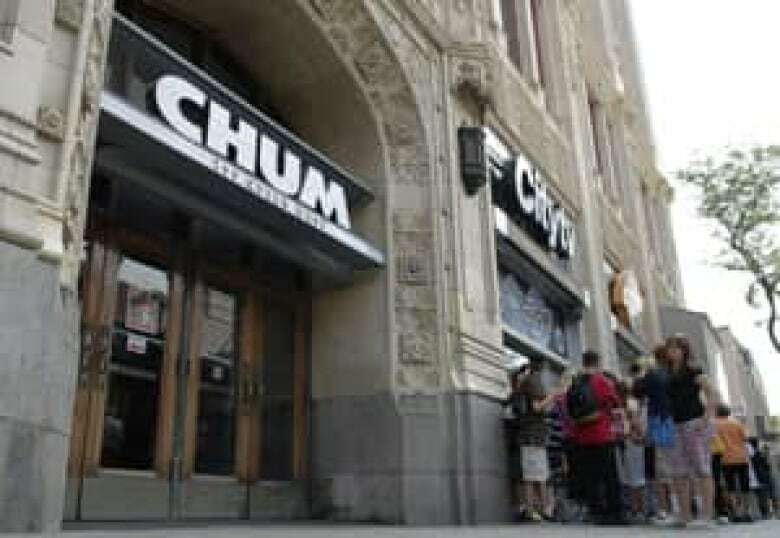 Founded by Allan Waters, CHUM Ltd. acquired its first AM radio stations in Toronto in 1954. It acquired more AM and FM stations in the 1960s and ventured into television in 1968 with the purchase of CKVR-TV in Barrie, Ont. It added more TV and radio stations in the 1970s, buying Toronto's Citytv in 1978. Through the 1980s and '90s, it branched into specialty TV channels, launching MuchMusic and Bravo!, among others. CHUM bought the TV assets of Craig Media in 2004, selling one Toronto station to satisfy CRTC ownership concentration concerns. In 2006, it agreed to be bought by Bell Globemedia (now Bell Media) for $1.7 billion. In June 2007, the CRTC approved the sale but told CTVglobemedia it must sell the five Citytv stations that were part of the deal. Rogers Media subsequently bought them. CHUM no longer exists as a corporate entity, but Toronto radio station 104.5 CHUM-FM continues to use CHUM as its station's call sign. Cogeco Inc. acquired Corus Entertainment's Quebec radio stations in April of last year, in a deal valued at $80 million. The cable distribution and radio broadcasting company also owns local community television channels. In January, Cogeco finalized the sale of their CFEL-FM and CJEC-FM radio stations to Leclerc Communication Inc., which also owns Laura Secord chocolates. Corus Entertainment was created from media properties originally owned by Shaw Communications. It was spun off as a separate, publicly traded company in 1999. Corus owns 37 radio stations, a variety of specialty TV channels (including YTV, Treehouse, W Network, CMT and Telelatino), the Movie Central pay TV service, and nine multiplex channels including HBO Canada. It also owns the Nelvana animation group and the children's publisher, Kids Can Press. Gesca is the media subsidiary of Power Corp. It owns seven French-language dailies (including La Presse in Montreal and Le Droit in Ottawa). Three of its dailies were acquired in 2000, when it bought Unimedia from Hollinger. It also owns a half-interest in the job-search website, Workopolis. Glacier Media Inc., a B.C.-based company, publishes and prints trade magazines and community and daily papers including the Assiniboia Times, the Hudson Bay Post Review and the Humboldt Journal. In 2011, Glacier aquired the Times Colonist, the Lower Mainland Publishing Group and the Vancouver Island Newspaper Group from Postmedia Network Inc. It also aquired 15 trade publications from Rogers Publishing Limited. MBS Radio began life in 1969 as Eastern Broadcasting Ltd. The privately held company owns 24 radio stations in Nova Scotia, New Brunswick and Prince Edward Island. In July 2010, the former newspaper assets of Canwest were rebranded as the Postmedia Network, with Paul Godfrey as president. In addition to the National Post, Postmedia includes the Montreal Gazette, the Ottawa Citizen, the Vancouver Sun and eight other major dailies, making it the largest publisher of English-language daily newspapers in Canada. The company also owns 12 weekly community papers in the B.C. area. The dailies also feed content to Postmedia News, the rebranded wire service Canwest set up after pulling out of The Canadian Press subscription wire service. Quebecor Media has grown to become one of the country's biggest media companies, largely through acquisitions. Started by Pierre Péladeau in 1950, Quebecor became a national media company in 1999 with the purchase of Sun Media's newspapers and in 2007 bought the Osprey chain of smaller dailies and weeklies. It now owns eight major dailies and 200 local and community papers. After pulling out of The Canadian Press wire service in 2010, it created its own QMI news agency, fed by its newspapers. It also owns Canoe.ca, a popular web portal. The company is headed by Pierre Karl Péladeau, the son of the late Quebecor founder Pierre Péladeau. Former prime minister Brian Mulroney is chairman of Quebecor's board of directors. In 2000, Quebecor trumped an offer from Rogers Communications and paid $5.4 billion for Quebec's largest cable company, Vidéotron, and its French-language TV network TVA. The company created its Quebecor Media subsidiary in the wake of that acquisition. It is also a major publisher of French-language books and controls the largest video store chain in Quebec. In 2010, Quebecor Media applied for a Category 1 licence from the CRTC for its proposed Sun News Network, a conservative all-news channel that its proponents billed as an alternative to the left-leaning bias of existing networks. In its application, Quebecor asked that the regulator oblige cable and satellite networks to provide access to the channel for an initial period to expose viewers to its programming. This prompted vocal opposition from pundits and politicians, and Quebecor revised its application and was granted a Category 2 specialty channel licence in November 2010. The company launched the channel in April of 2011. 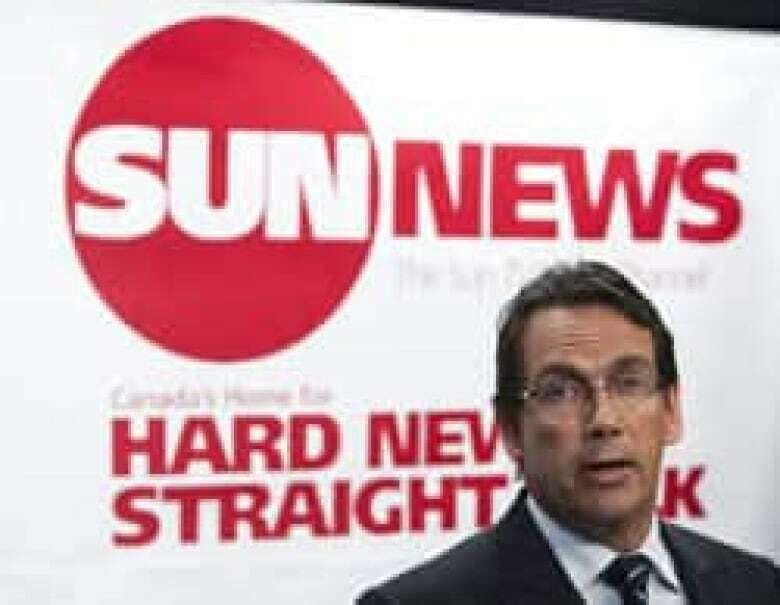 In November of 2011, Sun News Network was removed from Bell's satellite TV operation in a dispute over fees. Ted Rogers started Rogers Radio Broadcasting in the early 1960s, adding AM and FM stations in Toronto and venturing into the cable business by the late '60s. Rogers bought control of the Canadian Cablesystems in 1979 and bought Premier Communications the following year, making Rogers the biggest cable company in Canada. It entered the wireless phone business in 1985 as Rogers Cantel and bought a major stake in Unitel (formerly CNCP Telecommunications) in 1989. It bought magazine publisher Maclean Hunter in 1994 and merged these new magazine properties with its radio and TV assets to form Rogers Media Inc.
Rogers Media now owns several over-the-air and specialty TV channels (including OMNI, Rogers Sportsnet and The Shopping Channel), 51 radio stations and such magazines as Maclean's, Chatelaine, Canadian Business, and Flare. In June 2007, Rogers Media paid $375 million for five Citytv stations in Toronto, Winnipeg, Edmonton, Calgary and Vancouver. The stations were initially part of CTVglobemedia's $1.7-billion purchase of CHUM Ltd. but the CRTC ordered the sale of the Citytv stations because of competition concerns. In January 2010, Rogers Media suspended local newscasts on all Citytv stations, with the exception of Toronto, citing financial concerns. Calgary-based cable-TV operator Shaw Communications Inc. bought Canwest's television assets for $2 billion in the spring of 2010. The deal included the Global TV network and several specialty channels, including History Television, Food Network Canada and TVtropolis. The cable giant rebranded its new assets as Shaw Media. In 2011, their BBC Kids channel was sold off to the Knowledge Network Corporation. Torstar Corp. publishes the Toronto Star, the Waterloo Region Record, the Hamilton Spectator, the Guelph Mercury and Metro newspapers, which are given away freely in large cities across the country. The company also publishes 95 community newspapers in southern Ontario and Toronto's The Grid, an entertainment weekly. Torstar owns a half-interest in the job-search website Workopolis, along with several other web properties, including Toronto.com. It has a half-interest in Sing Tao, Canada's largest Chinese-language daily, and owns Harlequin, a publisher of romance novels. Torstar joined Sweden-based Metro International to form the free daily newspaper Metro Toronto in 2001. It subsequently expanded to Calgary, Edmonton, Vancouver, Ottawa, London, Ont., Winnipeg and also Halifax, where it's jointly owned with Transcontinental. The company also owns a 19.35 per cent share of Black Press, which publishes more than 150 daily and weekly papers in Canada and the U.S., and used to control a 20 per cent stake in CTVglobemedia (now Bell Media). In November 2010, Torstar entered into a partnership with the Globe and Mail and Square Victoria Communications Group to form a for-profit company known as Canadian Press Enterprises Inc. to take over the operations of The Canadian Press. The news agency set up in 1917 by the country's news publishers and run for decades as a co-operative had been hit hard when the Quebecor and Canwest chains dropped the service and had a major pension shortfall, which was to be resolved by the new company. In 2011, Torstar acquired an approximate 25 per cent interest in Blue Ant Media Inc., an independent media company with a number specialty televisioin channels and digital properties. That year, it also brought the satirical newspaper the Onion to Toronto, along with its sister publication, The A.V Club. Transcontinental Media is Canada's second-largest publisher of local and regional newspapers and is a major publisher of consumer and specialty magazines. It's a wholly owned subsidiary of Transcontinental Inc., which is the country's largest commercial printer. Transcontinental owns 10 daily newspapers (including the Moose Jaw Times-Herald, the Guardian in Charlottetown and the Telegram in St. John's), and more than 200 other papers. It also publishes more than 40 magazines and specialty publications (including Canadian Living, Elle Canada, Style at Home and The Hockey News). In 2011, Transcontinental changed their trademark and brand to TC Transcontinental, in light of their increased presence in digital publications. The Woodbridge Company is the primary investment firm of the Thomson family, known for its long involvement in the newspaper industry. Woodbridge is the principal shareholder of Thomson Reuters, formed through a 2008 merger of the Thomson Corporation with the Reuters news agency. The Thomson family has been a major global player in the newspaper industry, at one time owning The Times in London. In 1980, the Thomson Corporation bought the Globe and Mail and in 2001 merged the publication with BCE's recently acquired CTV assets to form CTVglobemedia. Woodbridge eventually ended up with a 40 per cent share in the company. In 2010, Woodbridge divested itself of all its broadcast assets and regained an 85 per cent stake in the Globe and Mail, with the remaining 15 per cent owned by BCE.